Longlife Outdoor Ink. 720 x 1440 dpi full photographic quality printing. SiteMaster is anti-mould & UV protected. 5 year color warranty all angles. INNER BINDING: Polyethersulfone (PES) has an outstanding ability to withstand exposure to elevated temperatures, movement and ageing. OUTER COATING: PVC is an excellent and durable material. Ideally suited for both RF welding (36/17 coating) and Sewing using Polyester threads. *36/17 means +> 50% RF weld surface. CUSTOM MADE: Made to suit your application. Supplying realty building management/builders/developer via your instructions. Use for hoarding signage advertising materials - wall and panel keder fittings. 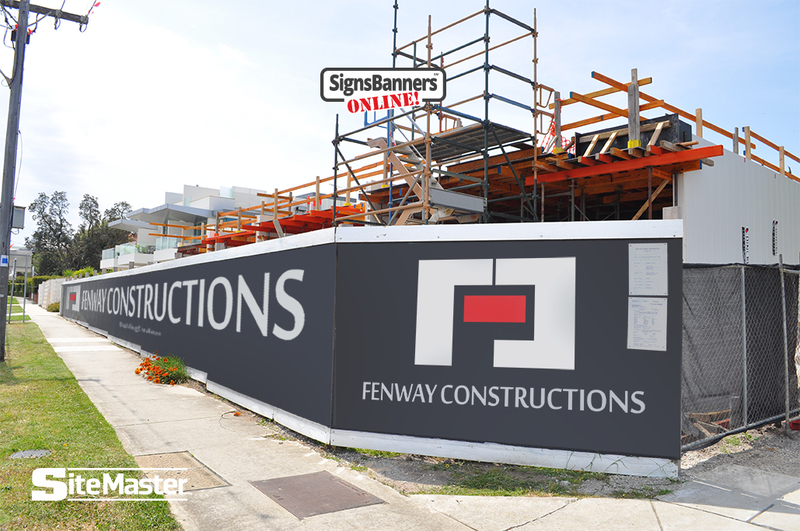 eg: During Realty Construction Signage SiteMaster™ is a engineered pvc vinyl banner designed for building applications, hoardings and full photographic outdoor displays where the best print quality and endurance is required. 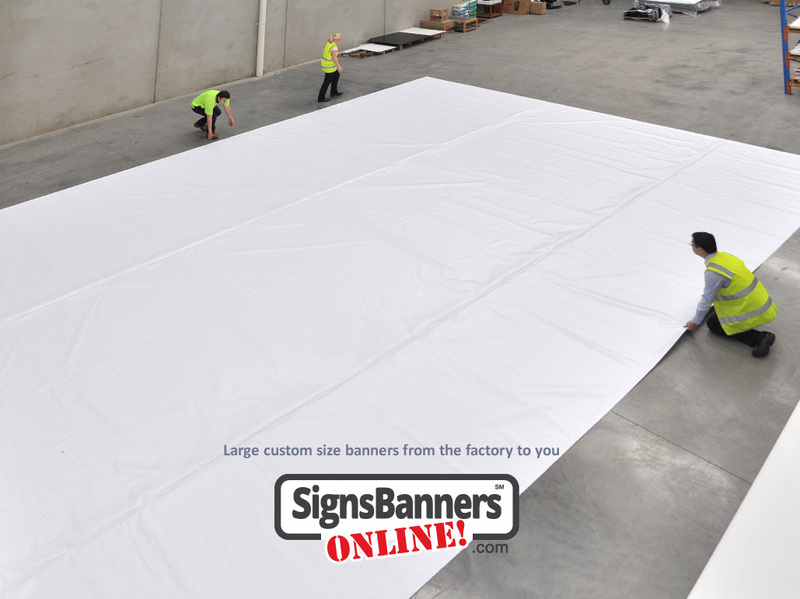 Signs Banners Online are now the leading supplier of wholesale quality Vinyl Banners. Architectural conceptual and planning illustrations. Proposed development billboards and hoardings. 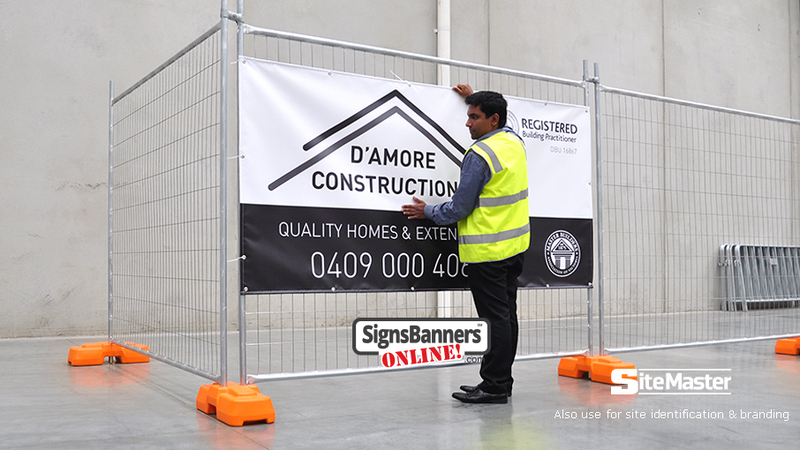 SiteMaster™ (Sitem) is a smooth scrim pvc vinyl with inherent internal weaved structure as a minimum lay. PVC is popular with general signage companies due to it's relative ease of production and relative looks however many differing qualities will make the product a success including finishing such as hemming, keder (sail track beading), grommet eyelets and roping. "Investors, buyers and tradies all comment on the building quality by looking at the outside hoarding prints." 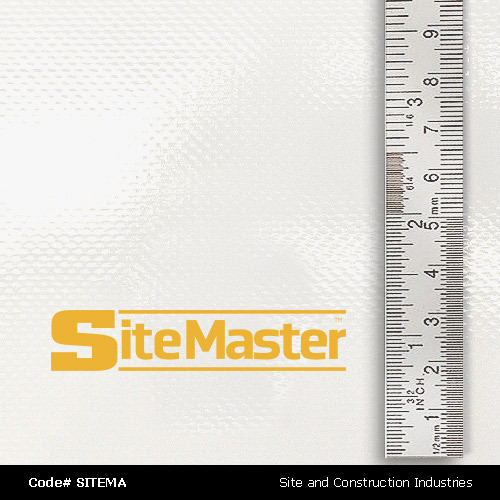 "SiteMaster™ is a better option and lasts longer". #1 Monster-Large are discretely joined from master rolls. #2 Sewn edges. RF seam welders. Seam welding will change/affect approx 2" 50mm of your edge color from artwork. #4 Matte Surface. Once printed, the matte surface has a slight sheen. Ideal for angle viewing. Comparison SiteMaster™is a scrim pvc vinyl material with ink on top without penetrating the fibres. It may scratch, crease or mark. • Can be coated clear varnish. 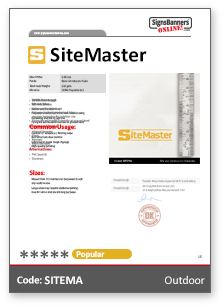 Comparison: SiteMaster™is excellent color accuracy. Printed in CMYK digital process. Achieves high color gamut output. Fitting options include Keder (sail track beading) Ropes, Eyelets, Webbing edges. Can be RF welded for super max sizes. Long life color. Waterproof inks. #1 Size is unlimited, the size range is small to huge. People may order one (1) piece or fifty (50) pieces all custom sized to suit their branding applications. Branding and bulk printing. Quantity discounts are available. 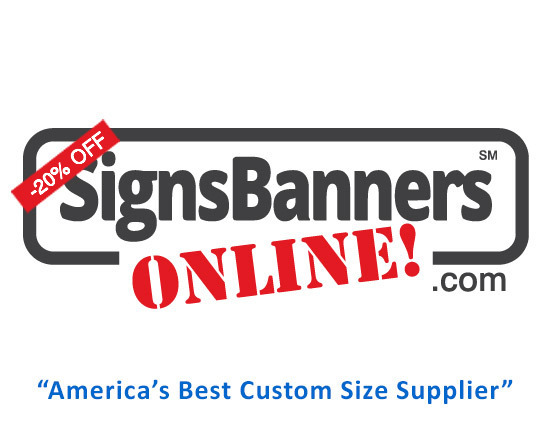 SiteMaster PVC VINYL BANNER offers excellent price coverage, fitting ability and clarity of graphics.